The dungeon crawler genre is really enjoying a resurgence at the moment. 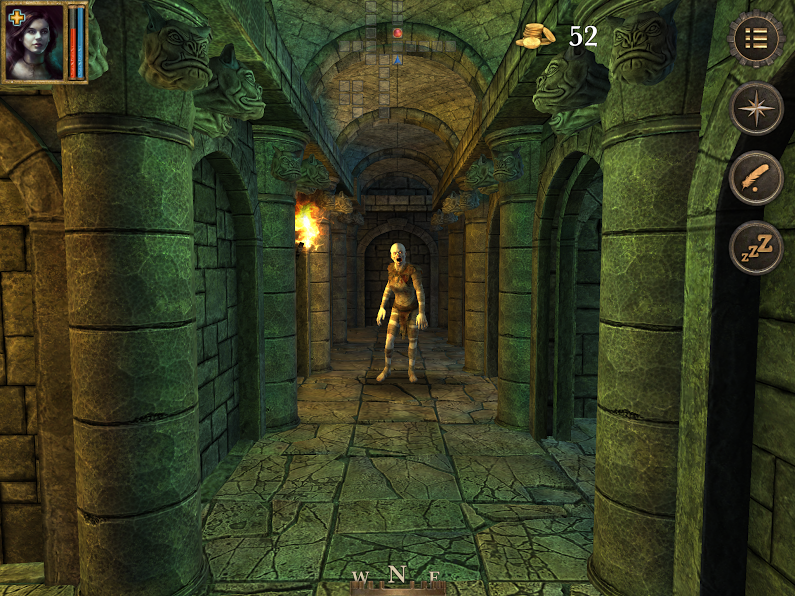 It's not just the Japanese developers like Experience Inc. and Atlus either; over on PC and iOS there have been efforts like Legend of Grimrock and Might & Magic X to show what western developers have been able to do with the genre. 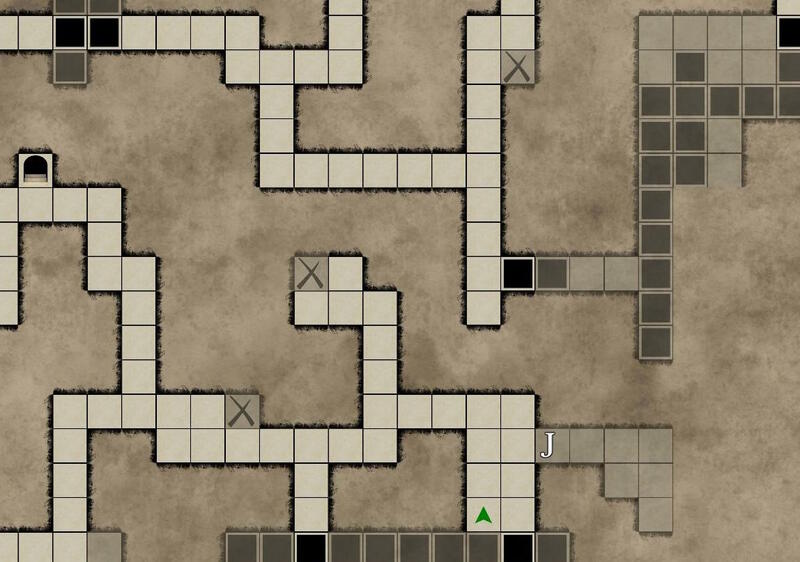 7 Mages is an ambitious crawler on iPad that takes the action well beyond the dungeon. Based on the classic Seven Samurai (or the Magnificent Seven), this is far beyond the scope of games like Grimrock; there's a full town to explore, an epic narrative involving pulling together a band of seven mages to take on hostile mages that have turned bandit, and many, many environments to explore, each with their own deadly traps and puzzles to solve. There are a little over a dozen individual dungeons, in fact, and each one is designed to test even the most hardened 'crawler veteran. Yes, that's right, 7 Mages knows how to be difficult. Your party can starve. The best stuff - stuff that you'll need to survive eventually - requires the ability to sniff out secret caches. The auto-mapping is generous and helpful, but the enemies know how to pack a real punch. This is all wrapped up within a beautiful package, with detailed enemy animations and intricate dungeon designs. There's a consistency to the world design that is immensely pleasing, and it's easy to get lost within it for hours at a time. If the mark of a good RPG is a believable and vibrant world, in which progress to the next wonder is a reward in itself, then 7 Mages is a very, very good RPG indeed. Here we go again. 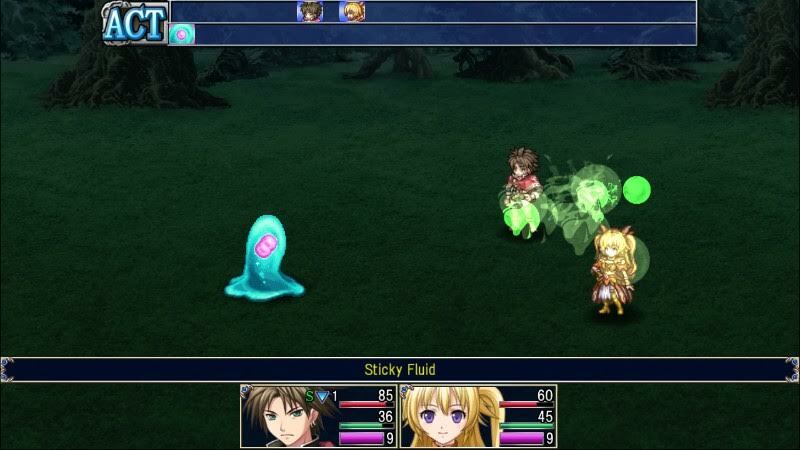 Kemco releases another JRPG on to a Nintendo platform, and it's a mechanically competent, but utterly soulless and soul-crushing experience. Asdivine Hearts doesn't make a lot of sense when it's at its best, and at most points it's actually barely coherent. In Asdivine Hearts you play as a couple of kids who set out on an adventure when their pet wildcat is possessed by the deity of light, who is under attack as the evil influence of shadow hunts him/her down. From there, every standard JRPG trope under the sun comes into play; players move from one town to the next, solving a problem for the local people, before they head off to the next place in the endless pursuit of enough power to take on the big bad. The mechanics of the game are perfectly workable; combat is turn based, there's a gem grid where you can use stones collected through your travels to power up each character, and there's some customisation in how each character develops. It also looks pretty, in a very safe, very standard sense of the word. 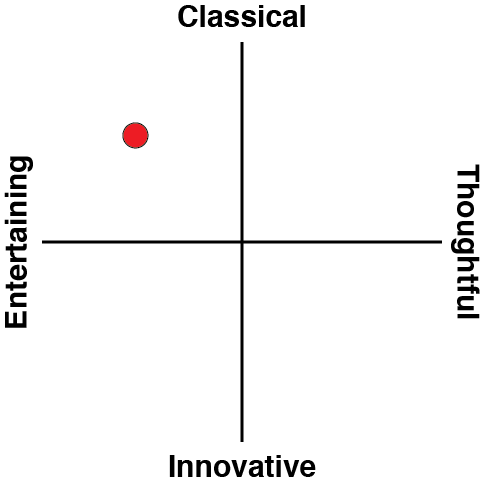 But the game is let down by that woefully generic plot, and then completely uninspired design. The world is massive, but characters move so fast you'll be covering entire continents in seconds. The world is designed as a series of funnels to keep you on track, rather than something open and worth exploring. Enemy designs fit every archetype without ever breaking away from the norm, and towns and villages are almost completely empty, other than for the shop keepers and individuals that give you quests. 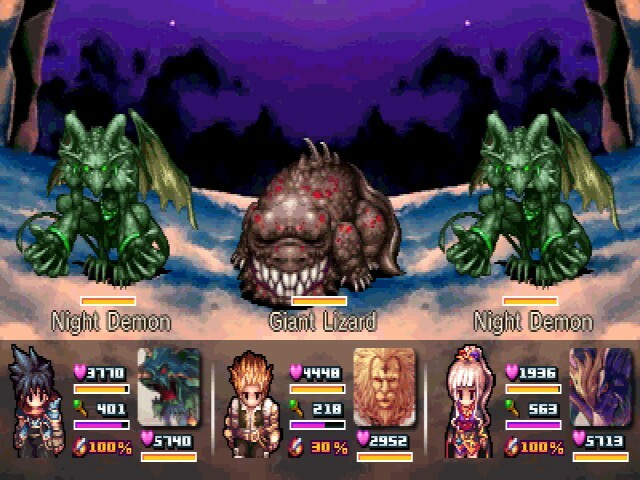 Kemco produces JRPGs on a budget that are designed to give people a momentary throwback to the 16-bit era of the genre, and while I don't expect anything mind blowing when I do go into these games, I find things this soulless and unimaginative very, very trying indeed. Zen Studios has really done some great work with its pinball franchise. With a superb eye for table design and precise, realistic, accurate physics, Zen Studios has done a better job with Marvel, Star Wars, Family Guy, and any number of other franchises than many dedicated games in those respective franchises have managed. And the three-table collection in the latest Aliens Vs. Predator pack might just be the best of them all. One table is based on James Cameron's classic, Aliens, and, as a nice touch, looks like one of those 80's pinball tables, giving this one a distinctly retro appearance. One table is based on Aliens Vs. Predator, and as overwhelmingly offensive as that film was to anyone who has enjoyed Aliens or Predator films in the past, this one does the very concept of Aliens Vs. Predator justice - I had goosebumps of joy when the table lit up like the Predator's infrared eyesight. The third table is a really, really good one, but a little odd for me - it's a table based on the excellent Alien: Isolation game. While Zen Studios has done brilliant work with game-based tables in the past (say hello, Portal table), I can't help but wish the team put the effort into giving us a Predator table instead. That would have made more sense in a collection titled "Aliens Vs. Predator" than having two of the tables dedicated exclusively to Aliens. That gripe aside, these tables are so beautifully designed with all kinds of challenging scoring opportunities. What I have always loved most about Zen Studios is how the team is able to create effects and functions in its pinball that simply would not be possible other than in a video game, while at the same time respecting the heritage of pinball and not going too overboard with the "game-like" elements. Aliens Vs. Predator continues to show just how masterful Zen Studios has become with its niche specialty, and if you enjoyed any Zen Pinball tables in the past, you owe it to yourself to give these new ones a whirl. If there is any proof that the harem costume improves a game, let's consider Alia, from Justice Chronicles, who does indeed wear a harem costume, and this game is indeed a better game than most of Kemco's work. It's not great, exactly, but it's far more enjoyable, and it has a harem costume. Okay, so that's not really the reason that Justice Chronicles is the better game. It has a better, higher concept than most Kemco games, for a start. In the world of Justice Chronicles people are split into two groups; there's those that exist on the surface, and those that exist underground. Our harem-wearing lady, Alia, is one of the latter, and the hatred that flows between two groups (naturally a hatred that our lead hero doesn't much care for) is a fairly obvious commentary on racism in the modern world. On top of that, our hero, Kline, does a deal with the God of Death at the outset, giving him power in exchange for his soul. 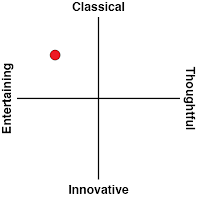 A common enough trope, but a good one for exploring human mortality and the meaning of life. Of course, because this is a Kemco-published game, these stories are told with all the maturity of a 10 year-old (or just horribly translated), but the reach for something more rich and complex than is typical for these kinds of games are impressive. There's also something to be said about the presentation. Combat plays out through an appealing Dragon Quest-like perspective. Environments are simple, but interesting. The music is often quite enjoyable. Justice Chronicles isn't by any means a classic game, but by Kemco's workmanlike approach to the genre, it's one of the more playable ones. It can't be easy making an ice hockey game for the iPad. While I am one of those (apparently, rare) people that is as comfortable playing games with virtual controls as physically controllers, I do have a certain limit, and as ice hockey is one of the fastest and most precise of all sports, I figured that I would hit that limit in playing Matt Duchene Hockey Classic. Amazingly - and the developers really need credit for this - not once was I uncomfortable with the controls in playing this game. 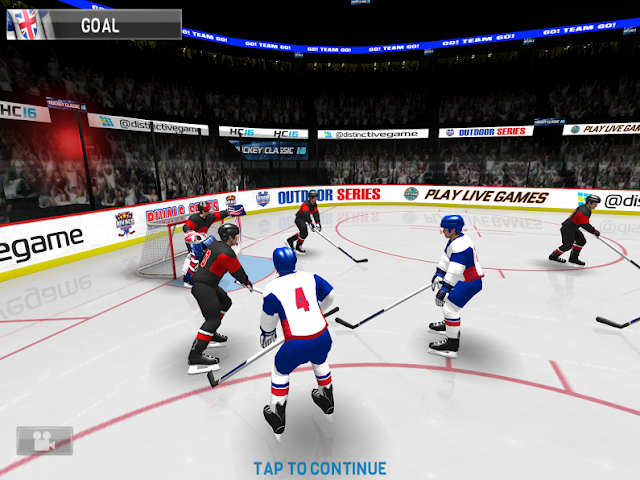 Part of the success there is streamlining the controls right down - on offense there's pass, shoot, and speed boost, and on defence there's just two "buttons" to get the puck back. As a result this is a fast, fluid little sports title that strongly reminded me of the likes of Wayne Gretzky's Hockey back on the Nintendo 64. But it's not perfect. Matt Duchene Hockey Classic is badly let down by a complete lack of difficulty. Even on "Pro" difficulty, I was scoring easily after just a couple of minutes play, and the opposing AI hardly put up a challenge. This severely limits its replay value. Severely. There's also a startling lack of atmosphere. There's no commentary to speak of, there's none of the organ music that is so iconic to the ice hockey experience. Players don't even have names, and your ability to manage your team, across all modes, is severely limited. So, as a result, this ends up feeling like a very dry, no frills, take on the sport of ice hockey indeed.